Abu Dhabi Muscle & Fitness Expo 2018 will take place from 11th to 12th of May at the du Forum, Yas Island, Abu Dhabi. 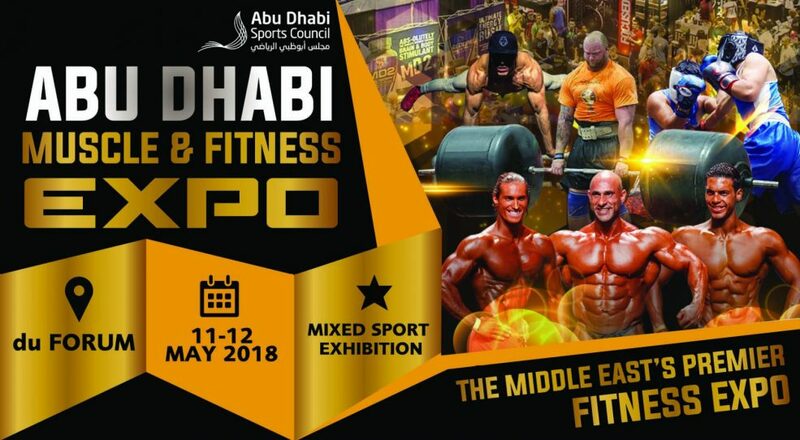 The expo will bring together top fitness companies in the region displaying their most trendy and innovative fitness products and technology. Also an inspiring line-up of fitness celebrities, international competitions and fitness classes for all ages to enjoy.